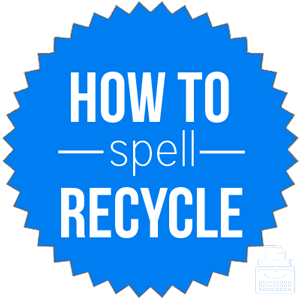 Spelling of Recycle: Recycle is spelled r-e-c-y-c-l-e. Definition of Recycle: To recycle is to reuse or make something available for another use or to adapt (something) to a new use. Pronunciation of Recycle: Recycle is pronounced ree-sie-kul. What does recycle mean? Recycle is a verb. Recycle refers to the process of reusing or repurposing something that would normally be garbage or waste. Recycle also means to process certain pieces of waste, such as plastic, cans, glass, and cardboard to make them usable again. If we all do our part and recycle, we can reduce the amount of waste sent to landfills. Please recycle paper so we can help save trees. Acting as gerund, recycling can function as a noun. Recycling is formed by adding “-ing” and dropping the “-e” from recycle. Honey, please don’t forget to take the recycling to the curb before you leave for work this morning. The recycling must be sorted and separated as it does not go to the same place as the trash. Recycling is also the present participle form of the verb recycle. We will be collecting the tabs from soda cans and recycling them, as they can be reused to make wheelchairs. If you are not already recycling these items, please start doing so immediately. Additionally, recycling can function as an adjective. Most cities have their own recycling program for their residents and the requirements typically vary from city to city. Most plastics, cans, cardboard, and glass are recyclable. This is not recyclable, so it must be thrown in the trash. Recyclable may also function as a noun when referring to items that are or will be recycled. This form of the word is typically used in the plural. Please place all recyclables in this green bin. These recyclables do not belong in the trash. Reduce, reuse, recycle: a common phrase that has become a slogan around the world, promoting the reduction of garbage and the increase in reusable items. According to Merriam-Webster’s, the word was first used in 1925. The word was first formed, by adding the prefix “re-”, again, to the word cycle, and recorded between 1925-1930. While there are no exact synonyms for the word recycle, as it refers to a specific process, there are some related words that can be substituted in some cases. Recycle is a verb meaning to reuse or process something to be used again. The gerund and present participle of recycle is recycling.